You might get dizzy if you look up from the boat. 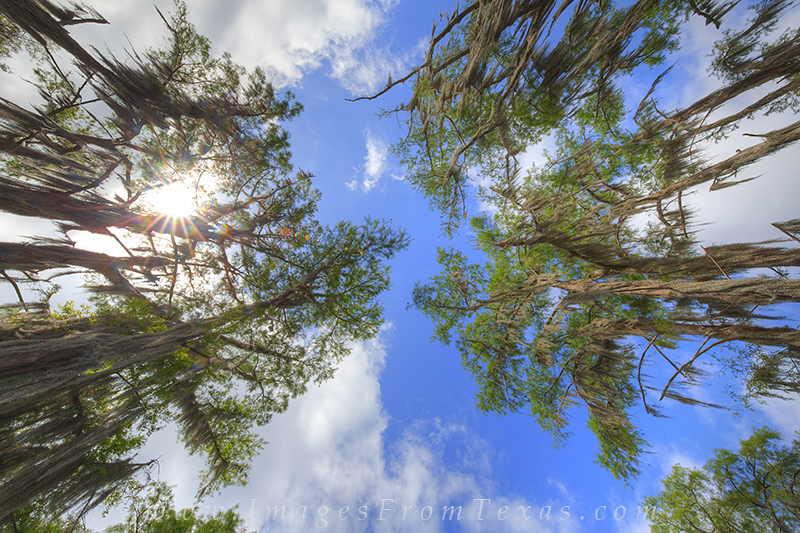 This image from Caddo Lake does just that - looks up into the canopy of cypress. Hanging down is the mysterious spanish moss, draped across the cypress like a halloween costume. The sunburst shines through the trees on a warm and humid June afternoon. Photo © copyright by Rob Greebon.